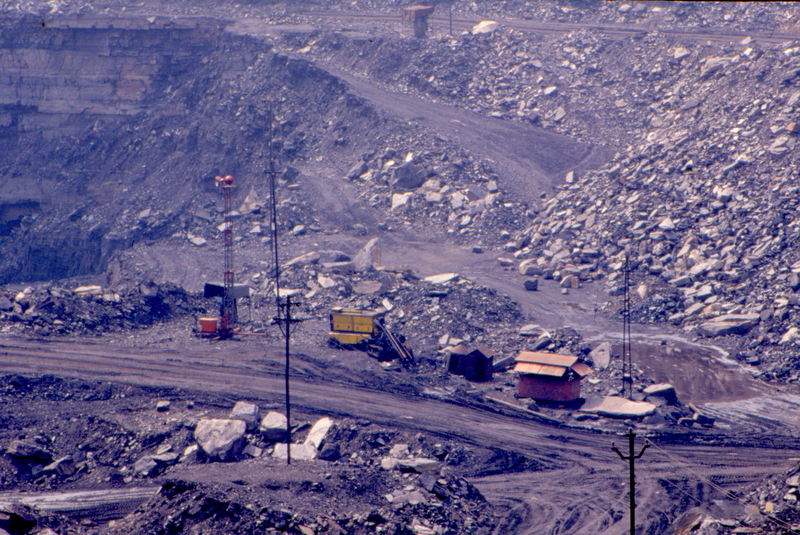 The Ministry of Environment, Forest and Climate Change has further diluted the green clearance process for facilitating coal mining. The environmental clearance process has earlier seen dilutions with the exemption of public hearings for coal expansion projects. According to the latest guidelines issued under the Forest (Conservation) Act, 1980 on November 10, 2015, for a coal mining lease containing both forest and non-forest lands, mining can now take place in non-forest land after obtaining Stage-1 clearance. The final approval (Stage-2 clearance) for diversion of forest land is not needed. The latest guidelines say “…the state government, if so desires, may execute a separate mining lease for a whole or part of (the) non-forest land falling (under) such mining lease…,” once Stage-1 clearance is obtained. Prior to this, mining could only start on such a lease (for both forest and non-forest land) after the final approval of forest diversion for the entire forested land falling under the lease by the Centre. Now, if a state decides so, there can be separate execution of the mining lease for non-forest land. The main reason for issuing the latest guidelines is to address the delay between Stage-1 and Stage-2 clearance approval. According to the ministry officials, there had been issues during Stage-2 approval due to delays in meeting with compliance conditions at the state level. This had put many coal projects on hold. Stage-1 is a clearance step whereby the ministry reviews the project proposal and stipulates conditions such as the net present value, compensatory afforestation and expenses for mitigation of probable environmental damage. After Stage-1 clearance approval, state governments submit a report, stating compliance with the stipulated conditions by the project proponent and the Centre finally grants the Stage-2 approval. However, this is a poor way to address the delay. “While approval processes need to be streamlined and decisions taken in a timely manner, pushing for quicker coal production in this manner is going to come at considerable ecological costs,” Ajay Kumar Saxena, forestry expert at Delhi-based non-profit Centre for Science and Environment said. The latest guidelines have been issued to facilitate coal mining and the ministry officials admitted this. However, now the question is will this lead to further slackening in meeting with compliance conditions given in Stage-1? According to the officials, the Stage-1 approval process helps in assessing the nature of forest land, and if granted, it can be an assurance for lease holders that forest land will be diverted as long as they meet with compliance conditions for getting the final approval. This will help avoid violations that may occur if mining were to be permitted on non-forest lands without granting the first clearance, they feel. Without Stage-1 clearance, lease holders would very likely encroach upon forest lands after making investment to start mining on non-forest lands, they feel. The guidelines, however, are silent about what will happen if forest land is not granted at the Stage-2 level of clearance. Violations would seem inevitable in such a case to make coal projects economically viable. “It is a dilemma of forest management in India that forests are perceived as physical areas with trees only, whereas forests are dynamic ecosystems with two-way environmental effects with adjoining and distant areas, ” Saxena added. With the ongoing relaxation of both environmental and forest clearances for mining, it is certainly a favourable situation for the coal sector.